Forget Chicken Soup for the Soul, these are caffeine for the manager's brain! 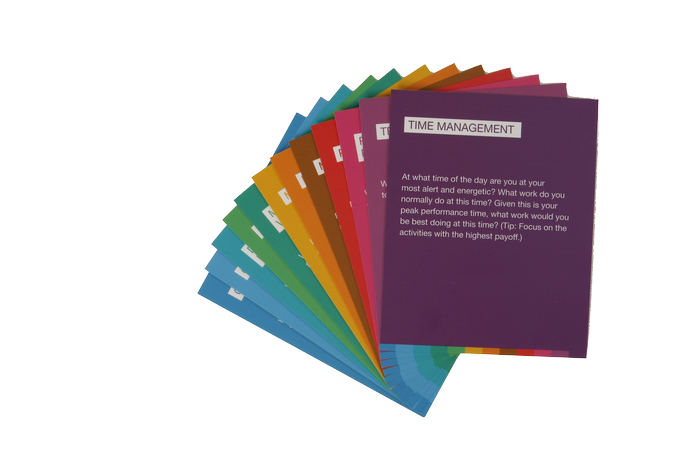 65 colour-coded cards that target extreme focus learning to develop the essential skills for all managers. Simply click here to buy your Management Success Cards®. 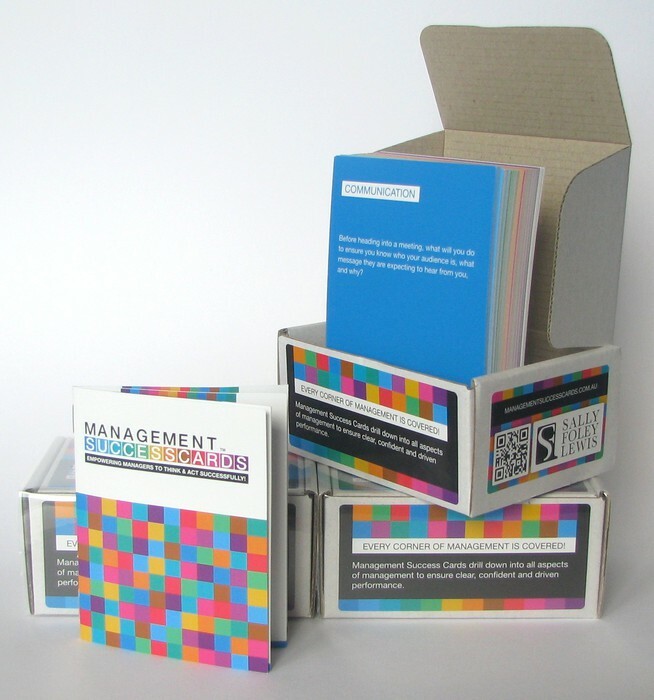 Special Offer for Australian* based companies: Buy 15 or more boxes of Management Success Cards® for your team and Sally will deliver a complimentary 2 hour Build Your Management Success workshop. A great way to guarantee your return on investment because you know the team will know how to use the cards and how to get results. *Must be based in a major city or town that has regular in and out bound flights. 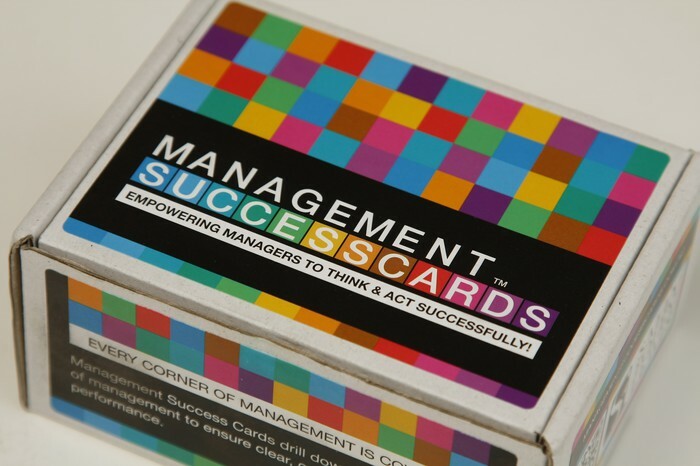 What are the Management Success Cards®? 12 essential management skills: Communication, Creativity & Innovation, Dealing with Difficult Employees, Delegation, Managing Remotely & Virtually, Managing Self, Meetings, Motivation, Performance Management, Problem Solving & Decision Making, Team Building, Time Management. The guide will explain a variety of ways to get the most out of using the cards. Individually or in a group setting, the cards will drive performance. They should be seen on every manager's desk! 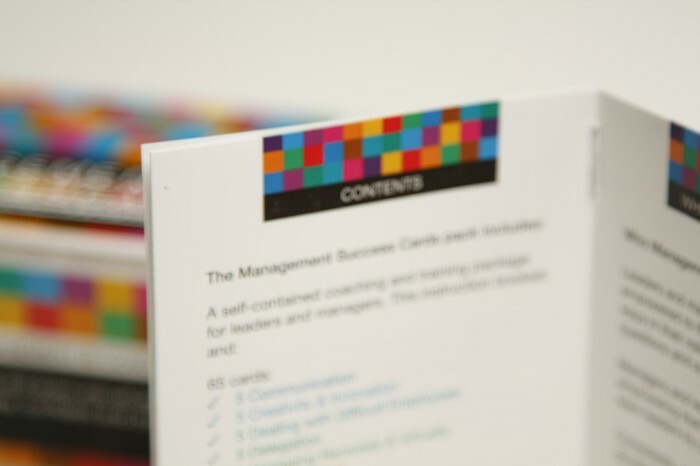 Presented beautifully, the Management Success Cards® are 65 colour-coded cards that are categorised into 12 essential management skills. Each card drills down into all aspects of management to ensure clear, confident, and driven performance. A colleague brought them [Management Success Cards®] back from the conference and left them out in the meeting room. I spied them and thought they were an ingenious way to get information across. Colour coded and short and sharp ways to reflect on what you are doing - real mindfulness instead of sitting in a meeting and wondering why you are there. Also dealing with employees the whole box and dice! Very useful. Well done. 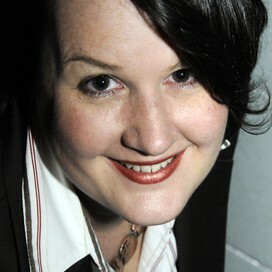 Ask Sally, the creator of Management Success Cards®. Sally fast tracks manager productivity! She empowers new managers to be conscious of their thinking and actions: to be strong, authentic and confident as they transition to being successful in their roles. After all, no one wants to fail! 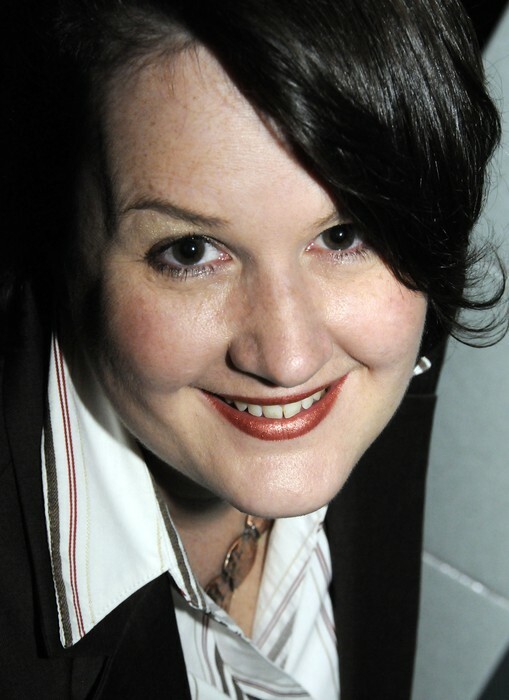 Sally is the skill-builder who gets managers ready to build their own management and leadership legacy from day one. She's worked with managers at all levels, across a range on industries, such as aviation, shipbuilding, oil and gas, telecoms, education and finance. Sally brings diverse experiences to her training, coaching and speaking influenced by having lived in Germany, outback Queensland, the United Arab Emirates and now living in Sydney, Australia.